Biltmore Park is an inspired re-invention of town square or village living. It is located 11 miles from center city Asheville, 7 miles from Historic Biltmore Village and 15 miles from downtown Hendersonville. 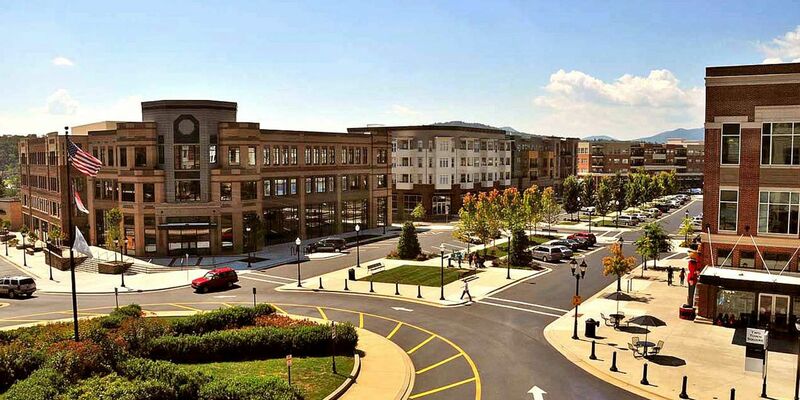 As Asheville, NC's first dense mixed-use community, Biltmore Park is a master planned community on a beautiful 750 acres built as a mixed use community. The neighborhood is a plush upscale development with wide tree lined streets consisting of townhomes and condo's in the town square to cottage style single family homes and luxury grand estates in the Biltmore Park neighborhood. Biltmore Park and the Town Square area is very unique. It offers a great life style with plenty of shopping, cafes, restaurants and fitness facilities. The Town Square offers the best movie theater in Asheville. The residents can have an memorable dinner and walk to the movies or simply enjoy a stroll through the Town Park and window shop. Biltmore Park is reminiscent of the old time home town square which was the gathering spot and life of the community. Life at Biltmore Park Town Square combines urban pleasures with the joys of the outdoors. Nature trails, abundant green spaces and spectacular views of the Blue Ridge Mountains let you connect with Asheville's great natural beauty. The community is close to the French Broad River, Blue Ridge Parkway, the Asheville Regional Airport and a major health care facility. 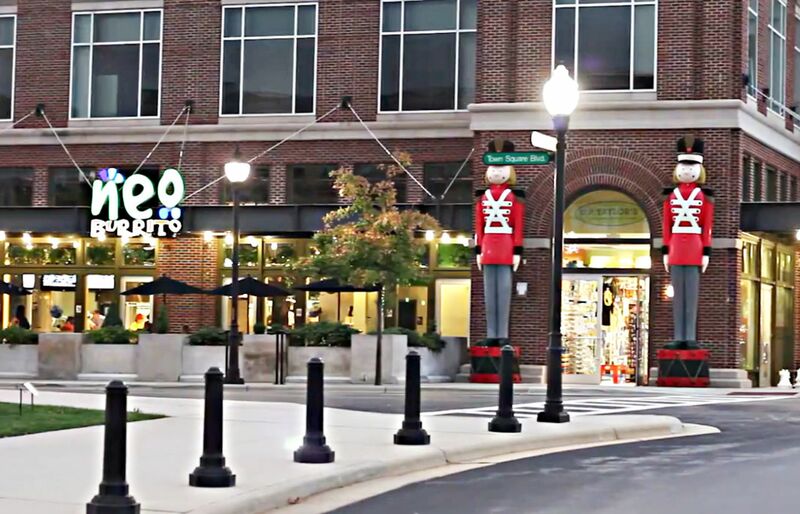 In Biltmore Park you will find a community full of life, fun and entertainment. Festivities and special events are held throughout the year, and these are great opportunities to meet neighbors, enjoy time with friends, and socialize close to home. Throughout the year residents have the opportunity to enjoy Concerts in the Park, a free summer concert series, a holiday lighting in November, a farmer's market, fundraisers, and other exciting events. There was a time when towns and villages were planned so that all of life happened within walking distance. The community's town square was the center for all activity, the place to go for whatever you needed, whether for business, daily errands, or just to have fun and meet your neighbors. To visit the town square was to find the living, breathing heart of a place. This is the lifestyle you can experience in Biltmore Park Town Square. Located near Biltmore Park Town Square is Historic Biltmore Village. Known for its cultural history, architecture, and old world charm. Biltmore Village is definitely one of Asheville's most impressive destinations. 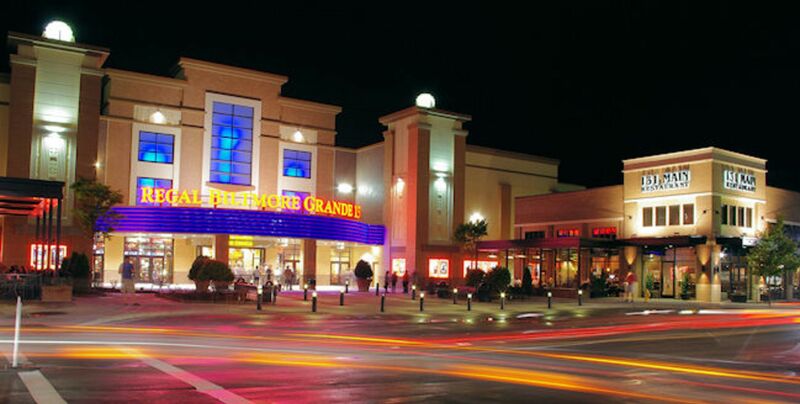 Residents and visitors will find fabulous dining, national chain retail stores and unique one of a kind boutique shops. Craftsmanship and artistry are displayed in Biltmore Village with historic cottages and galleries featuring works of art by renowned artists. Part of Biltmore Village and Asheville's elegance lies in its history as a resort town and to George W. Vanderbilt's decision, in the late 19th century, to locate his magnificent Biltmore Estate in this area. Residents and visitors can also experience Asheville's small city sophistication as well as the nation's third largest collection of Art Deco buildings and eclectic restaurants.